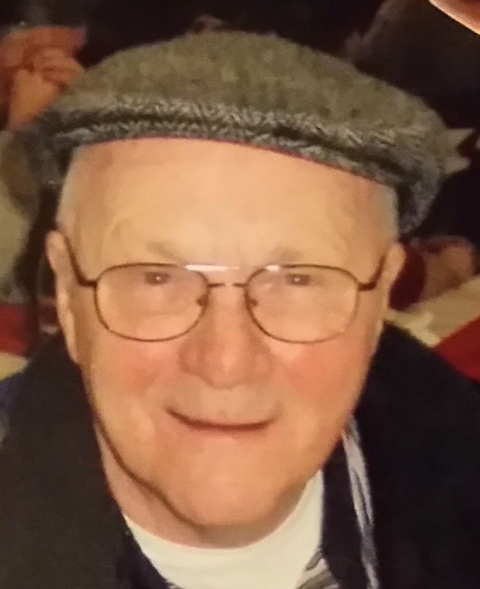 Gene H. Edmison, 82, of Sparta, died Wednesday, April 3, 2019 at the Tomah VA Medical Center, Tomah. He was born December 14, 1936, in Little Falls, WI, to Charles and Alma (Werner) Edmison, Sr.
Gene was raised on the family farm in Cataract. He enlisted in the United States Marine Corps at the age of 17; along with his brother, Gary. Gene served for three years during the Korean War; including being stationed for a time in Okinawa, Japan. He was honorably discharged in 1957. In 1958, Gene married Beverly Torkelson in Milwaukee; they raised their family in Grafton, WI. After the children had all left home, he began his career as an over the road semi-truck driver. Gene worked for his brother, Gary, at Werner Trucking until 2006. He achieved many driving awards and performed all of his own maintenance on his semi. Following his trucking career, he was employed by Century Foods where he gained a whole new group of friends; he always noted that he worked with all women. Gene and Beverly were avid gardeners. They enjoyed all things involving nature especially, feeding the birds. Together they traveled on many fishing trips. Gene was known as the person to fix everything around the house; if he didn’t know how to do it, he would learn how to do it. Last April, Gene was grateful to participate in the Freedom Honor Flight. Survivors include four children, Jeff of New Lisbon, Jerry of Milwaukee, David of Merrill, and Julie of San Luis Obispo, CA; eight grandchildren, Jennifer, Tony, Tyler, Travis, Tommy, Jacob, David Jr., and Marietta; nine great-grandchildren; two sisters, Karen (Richard) Christopherson of Big Creek and Alma Beranek of Sparta; sister-in-law, Barb Edmison of Casstown, OH; and many nieces, nephews, other relatives, and many friends.